GOAL ACHIEVEMENT BREAKTHROUGH KEYS INCLUDED! You can and you will achieve your goals. Once you get started you are halfway to success. 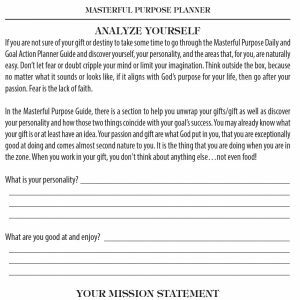 This Christian based planner takes you step-by-step through your goal journey. 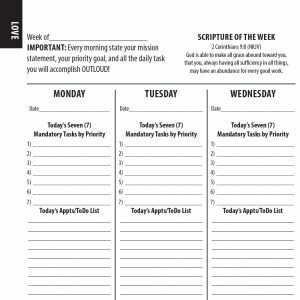 Plan your day, month, year for phenomenal goal success! 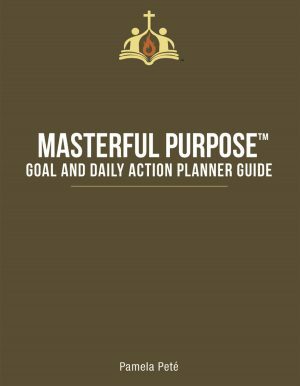 This Masterful Purpose™ Goal and Daily Action Planner contains guides to strategically plan for ultimate goal achievement. 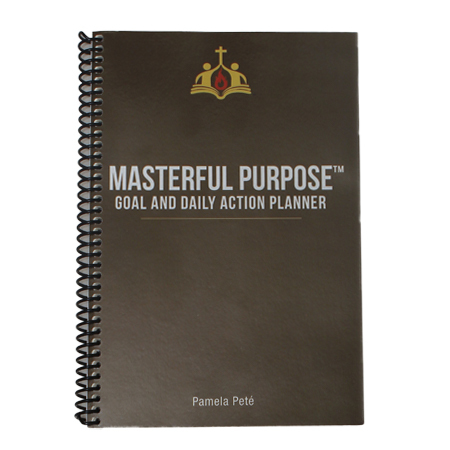 Discover why so many Christians are loving Masterful Purpose™ Goal and Daily Action Planner and corresponding Masterful Purpose™ Goal and Daily Action Planner Guide. 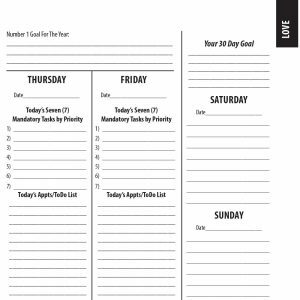 Whether you are using the planner to achieve goals or stay reminded of special occasions, this is the planner for you.